We have a close working relationship with most of the local pool companies and will coordinate with either them, or you as the home owner, for the most convenient delivery time of your pool water. Whether you need your pool filled, or just topped off, we have a truck for the job. 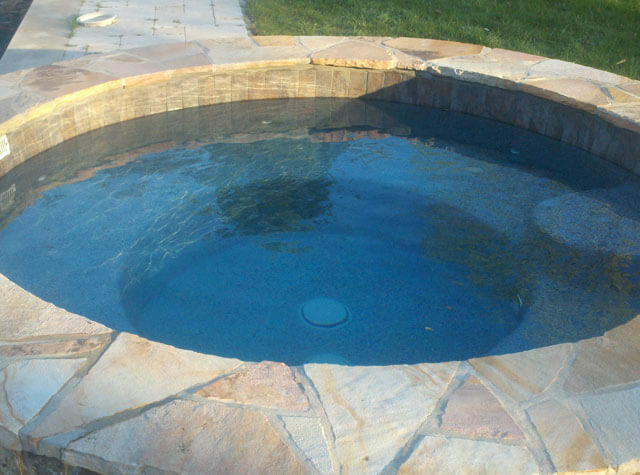 When filling your new or remodeled pool, we take care to fill your pool slowly on the critical first load of water. 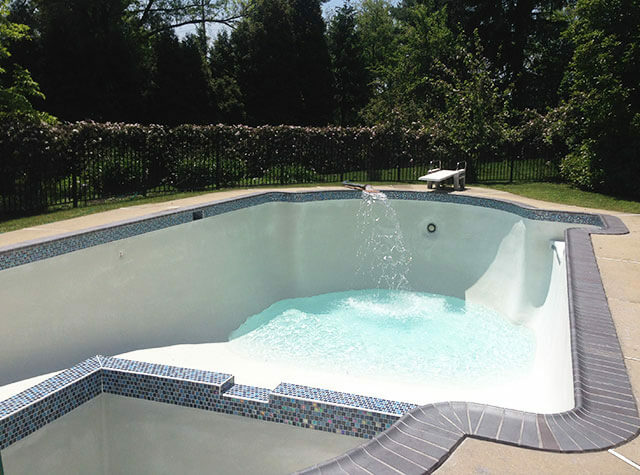 Whether your pool is plaster, vinyl liner, or fiberglass we are extra cautious and use specially developed attachments to "fan" the water into the pool when necessary. When topping off your pool we can go under the cover if the cover is still on, or show up after you have the cover pulled off. Our small truck is perfect for topping your pool off during the months you are losing water from heavy swimming and hot weather. 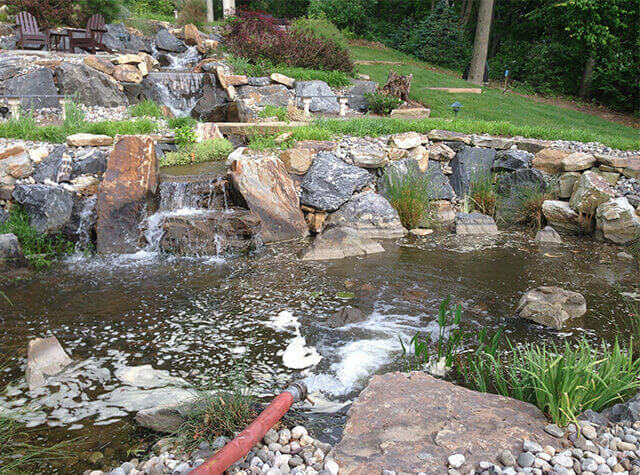 From ornamental ponds, to fish and farm ponds, our non chlorinated well water is perfect for the job. 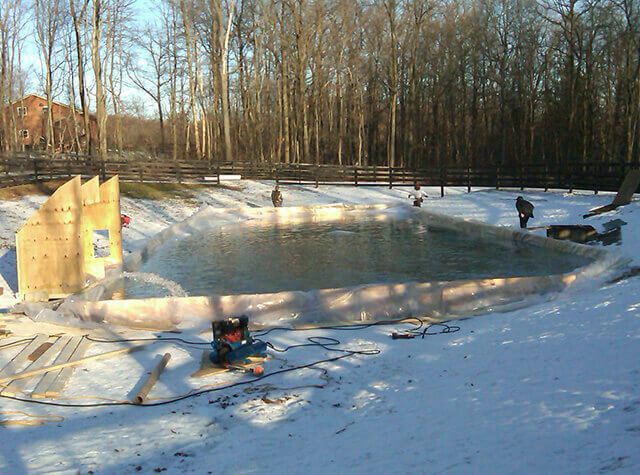 We are ready and willing to come out on the coldest nights of the year to flood your skating rink so everyone can have fun skating. Need your hot tub or spa filled? Our little single axle truck is the perfect size. 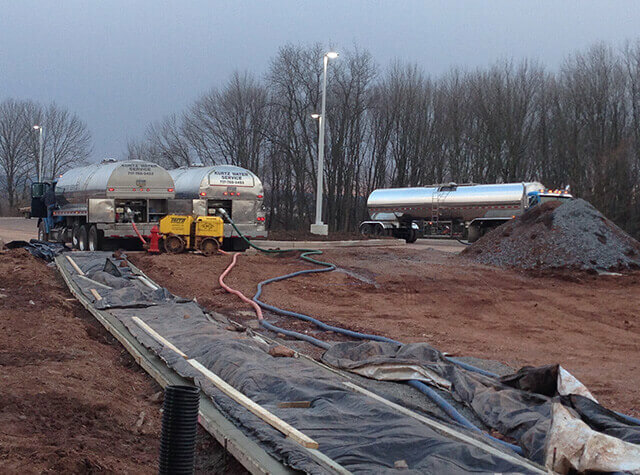 Truck sizes for both large and small cisterns. Soft water available upon request. Before your horse event, call us to come and water down the dust ensuring a more pleasant show for the riders and spectators. We can water new trees, shrubs, and sod. We take the time needed to make sure the items are watered correctly.